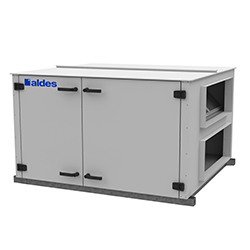 Aldes Standard Commercial Heat Recovery Ventilators (HRV) are designed for straightforward commercial applications that do not require heating and cooling coils or face and bypass dampers. 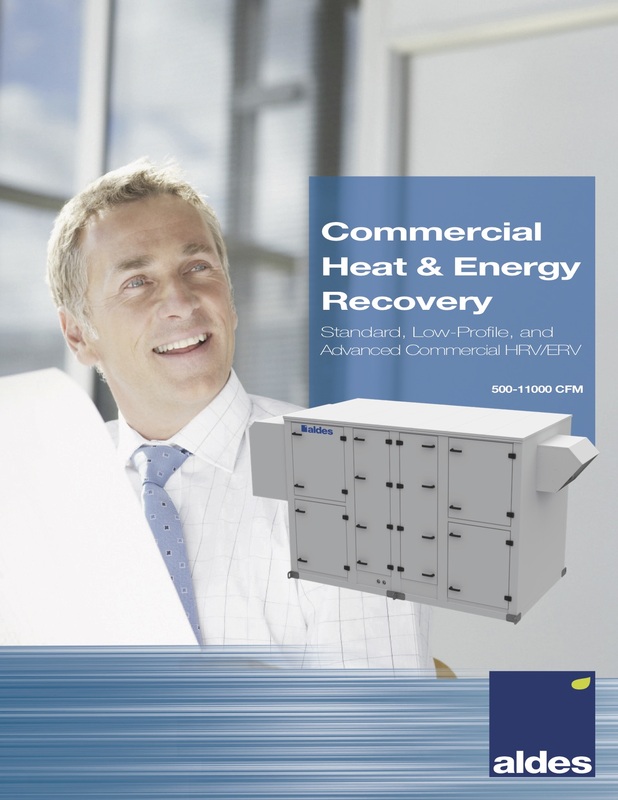 Many desirable features are standard and more are available for selection, making it easy to design the perfect unit for your commercial project. 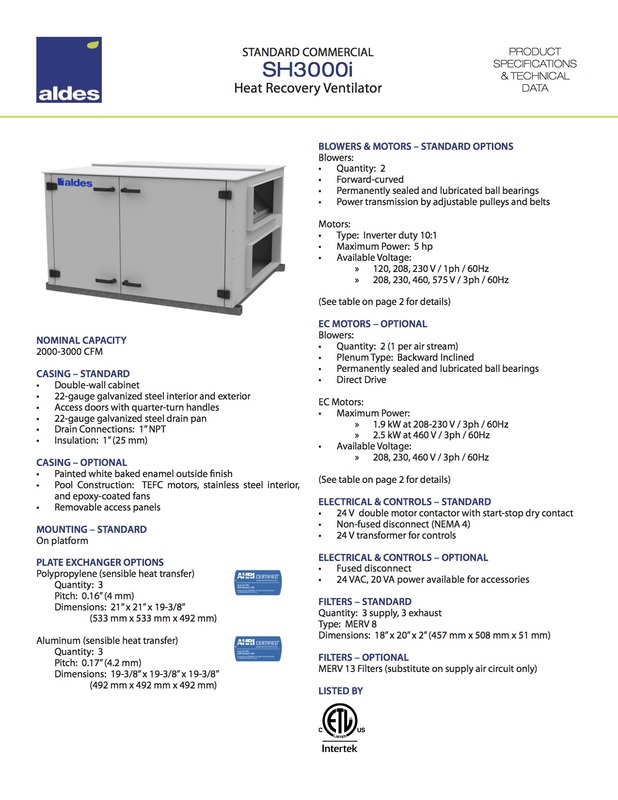 See the specifications sheet for all available options.